‘Every once in a while, something magical reminds us that we all have an inner child that must be fed. 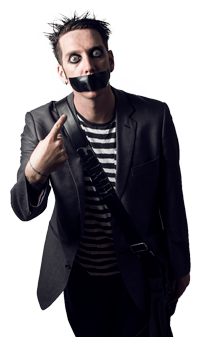 Through simple, clever and charming humour aimed at satisfying that hunger, Tape Face has created one of the most accessible and enjoyable shows the world has ever seen. Tape Face has to be seen to be believed. Tape Face is a character with universal appeal. Delightful, wry, many-layered and hilarious, he transcends the barriers of language and culture.